Stosh’s fighting days are over but the scars from his battles can still be clearly seen by his ears. A lot of un-neutered tom cats get cauliflower ear, similar to human boxers and wrestlers. The constant hits to the head have deformed Stosh’s ears. But, he doesn’t let that shake his confidence. 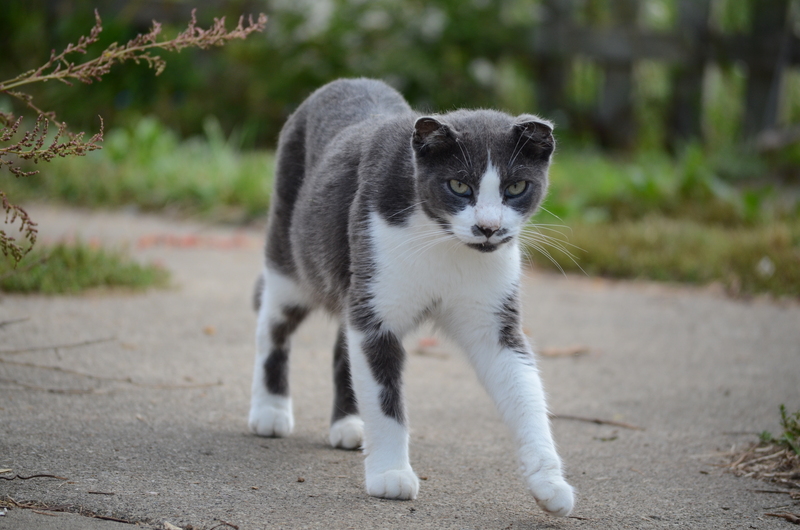 He is well respected around the farm colony and none of the other cats dare mess with him. He most likely fathered many cats in the colony before getting neutered.